Coming to university is always a big move. Of course, you’ll want the certainty of knowing where you are going to live. You’ll also want a place that fits in with your studies and suits your social life. And most of all, you’ll want somewhere you’ll feel at home. 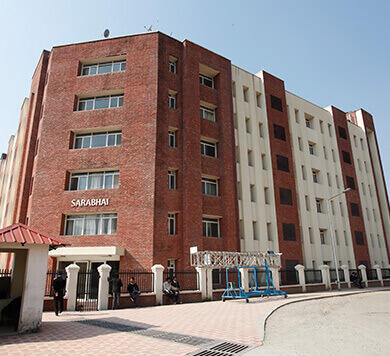 In recent years the University has made a multi-million Rupee investment in modern, safe and secure accommodation designed to the highest standard. Our on-campus residences with their modern en-suite rooms make you settling in a breeze. Hostels in DIT University are like a home-away-from-home! We ensure that the inmates are comfortable and are provided with a congenial environment to pursue their studies. The hostel rooms are well ventilated and adequately furnished. 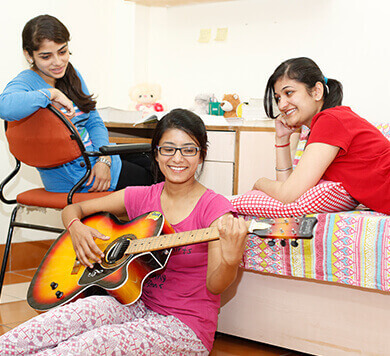 We provide a separate box-bed with mattress, a study table, chair and a wardrobe to each student. Rooms are designed like an apartment with adequate toilets. The on-campus boys’ residences can accommodate 1,200 boys while the girls’ residences accommodate over 1,000 girls in comfort. All residences have modern and well equipped kitchens and dining halls where food is cooked and served in clean and hygienic conditions. Our dining halls can serve over 600 boys and 400 girls at any given time. To ensure pest-free surroundings, pest control services are utilized. Purified cold and warm water (during winters) is provided to the students. The Weekly menu is well planned in consultation with the Students’ Mess Committee to provide variety, nutritious and wholesome food to the students. Special meals are provided on festivals. 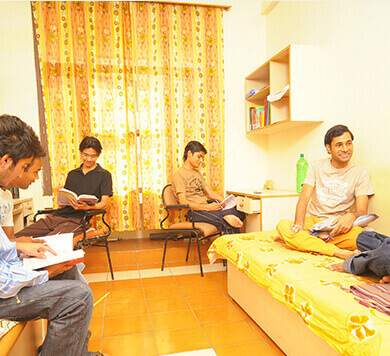 Hostel provides feeling of Home-Away-From-Home to the students. Keeping in view the same philosophy we provide a secure, comfortable and healthy environment for all the residents of the DIT University hostels. The hostel accommodation comprises of American style apartments which are well furnished, hygienic and have ultramodern amenities. Each apartment has three rooms shared by two students each, a lobby and attached bathrooms. The hostel premises has common TV room, tuck-shops (having stationary, barber, bakery, juice etc. shops) and state of the art indoor and outdoor sports facilities. 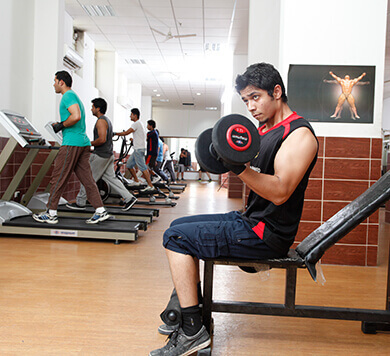 The hostel campus has an excellent modern gymnasium with a trainer. The entire hostel premises are Wi-Fi enabled and has a separate computer centre with 24X7 internet facility. Presently, there are four in-campus boys' hostel viz. Raman, Bose, Bhabha and Sarabhai with a total capacity of accommodating around 1,200 boys. 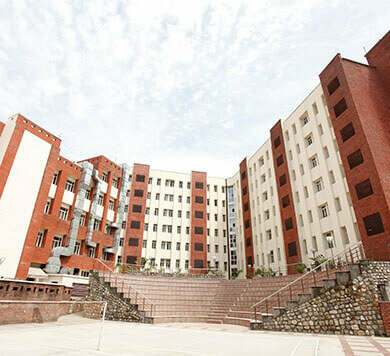 University also has a separate in-campus Girl’s hostel viz, Sarojini and Kasturba, which can accommodate around 1,100 girls students put together. 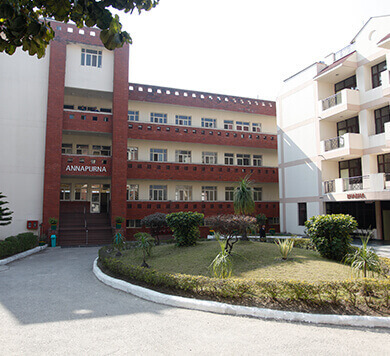 The hostel premises comprises of separate dining facility in the Boys’ and Girls’ hostels. The menu of the Mess is decided by the Students’ Mess Committees. The food served is of high quality and meets the acceptable quality standards of as laid down under FSSAI and other Govt food safety regulations. Special consideration is given to provide a well-balanced, nutritional diet with varying food tastes. 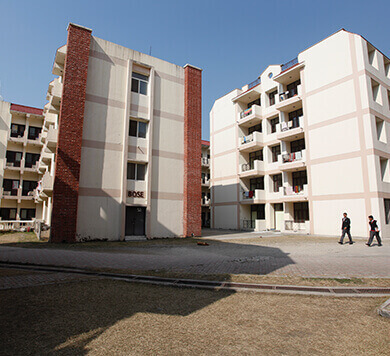 Each hostel has a residential Faculty Warden, Assistant Warden, Attendants who are being monitored by a Chief Warden & the Manager Hostel Administration to promptly address the day to day issues of the hostel residents. To ensure security and safety of the hostel inmates 24X7 security guards are on duty and CCTV cameras have been installed for surveillance. The medical facilities like ambulance, nurses are also available inside the DIT University campus around the clock. Hostels in DIT University are a like Home-Away-From-Home! We ensure that the inmates are comfortable and are provided with a congenial environment to pursue their studies. The hostel rooms are well ventilated and adequately furnished. We provide a separate box-bed with mattress, a study table and a chair and a wardrobe to each student. Rooms are designed like an Apartment with adequate toilets. 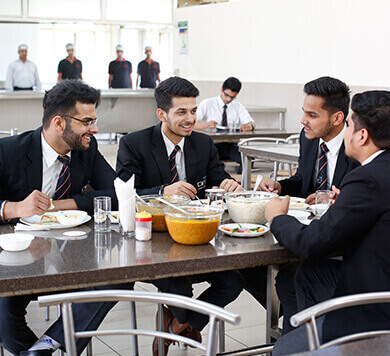 Both Boys’ and Girls’ Hostels have modern and well equipped Kitchens and Dining Halls where food is cooked and served in clean and hygienic conditions. To ensure pest free surroundings, pest control services of professional agency like PCI is utilised. Purified cold and warm water (during winters) is provided to the students. The Weekly menu is well planned in consultation with the Students’ Messing Committee to provide variety, nutritious and wholesome food to the students. Special meals are provided on festival days. DIT University has well equipped functional Infirmary which caters for the First Aid and limited out patient medical services of the DIT University staff and students. 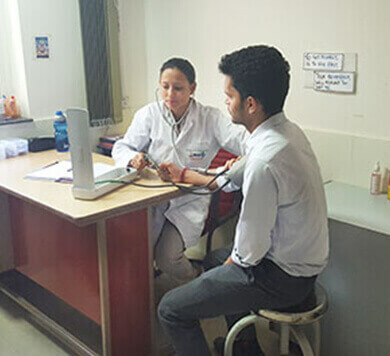 The Infirmary is run and managed under the guidance of qualified and experienced doctors of the prestigious Max Super Speciality Hospital Dehradun. A Lady Medical Officer is available on campus during the better part of the day and Nursing Staff and Ambulance are available 24×7. Apart from Max Super Speciality Hospital, we have a tie up with few other prominent hospitals of the city which provide OPD, IPD treatment and diagnostics at discounted rates. To ensure safety and security of the students, had deployed Security Guards around the clock in the hostels which is further beefed up with CCTV Cameras in all the hostels. Roll Calls are conducted on daily basis through Biometric Devices and proper procedure is followed for issuing of Out-Passes and allowing visitors to the hostels. 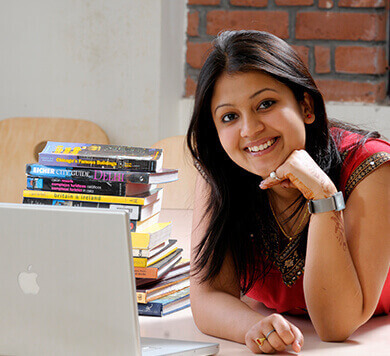 To ensure that the students are always connected to the outside world, students are provided Wi-Fi and internet facilities in all the hostels. The hostel has an open air Amphitheatre having a capacity of more than 500 where a vast variety of student activities are arranged. This integrates well with the landscape and is available within the campus. Both the Boys’ and Girls’ Hostels have well equipped gymnasiums with services of a trainer are available for the students. The hostel has a couple of Basketball, Volleyball and Badminton courts. We even have a few practice net for our Cricket enthusiasts. It is a common feature to see our students having Inter-Block matches in the evening. We have a well appointed Indoor Games Hall where the students can come, relax and unwind after a day of hard work. 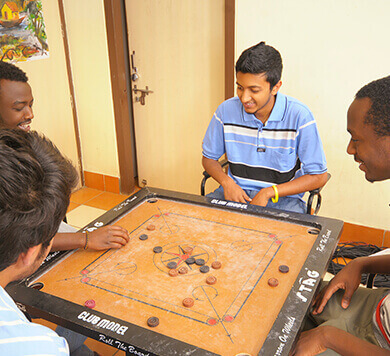 Indoor games like Billiards, Table Tennis, Carom Board etc are available. Students can watch their favourite TV Channels on numerous TVs with DTH connections which are available in all the hostels. These is never a dark moment in DIT University!! The entire University campus is connected to two powerful automatic generators which provide instant power back up 24×7. Each building has a heavy duty industrial grade RO Plant installed to further treat and purify the drinking water in the hostels and other academic blocks. All hostel blocks are equipped with solar water heaters with heating elements which provide warm water in the hostels all year round. To ensure that the students do not have to rush to the local market, all hostels have Convenience Stores and Tuck Shops. There is a Barber Shop in the Boys’ Hostel and a Saloon in the Girls’ Hostel. Apart from that, there is a well stocked Stationery Shop with photocopying and coloured printing facilities in side the campus. After a week long of slogging with the books, a break over the weekend is welcome. We arrange screening of popular movies and projection of important sport events on the big screen in the on campus amphitheatre. Sundays are for outings for hostel students to the city in Institute buses under the supervision of the Wardens. Gymnasiums are located one each in girls' as well as boys' hostels. 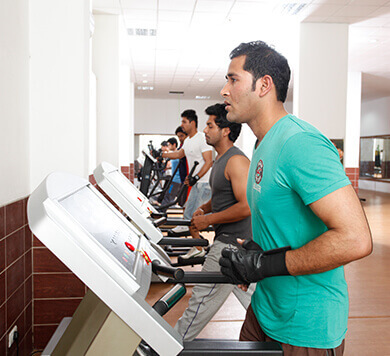 A well equipped Air-conditioned gym in the University hostels having latest instruments and machines has ensured better fitness and health facilities for the students, faculty and staff members of DIT University. There are two sections in the gymnasiums. 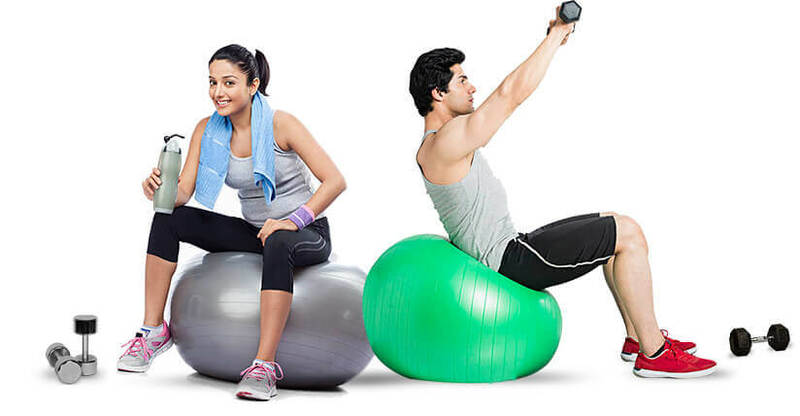 One section is meant for general exercises while the other is meant for weight training. Hostel is not a right of a student rather it is a privilege given to a student. Admission to the Hostel is generally on first come first serve basis in First Year (Merit for Admission). Allotment of hostel accommodation second year onwards will be done on the basis of student’s latest academic record of odd semester. A bonafide regular student of DIT University pursuing BTech/ MTech/ MBA/ MCA/ MTech/ B Arch/ March/ BPharm/MPharm/PhD Program at the University is eligible for admission to the Hostel.